Dongwoo mostly dance in R&B style during his audition. Dongwoo’s sister used to be a dancer and he learned how to dance from her. Dongwoo learned how to rap from Epik High’s Mithra Jin and Gonzo. Dongwoo shares a room with the manager before. Dongwoo has two older sisters who are six years and three years older than him. Dongwoo ever ripped his pants while he was dancing on MBC’s Infinity Girls. 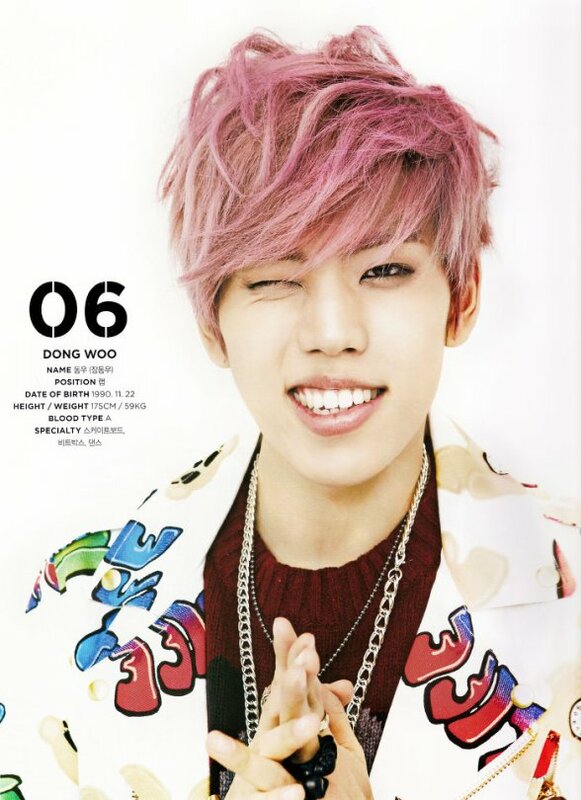 Dongwoo is know as the ‘gummed angel’ among the boys because he has a beautiful smile. Dongwoo thinks that he looks like a dinosaur, donkey and horse. Dongwoo wouldn’t do anything if he wants to seduce a girl because his charisma speak for him.